My departure date, 20th May is sneaking up on me quickly, too quickly in my opinion, eek! In case you have no idea what I’m talking about, in May I will be starting the biggest challenge I’ve ever taken on, a long-distance walk with fellow blogger Barefoot Backpacker. But it’s not just any walk, I will be hiking 800+ miles across Great Britain, yes you read that right, 800 miles! 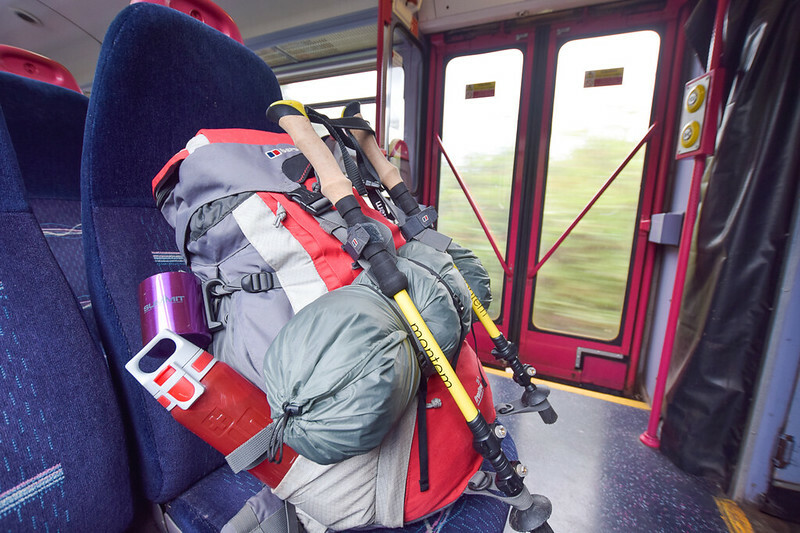 In December, I choose the rucksack for my long-distance challenge, a 65-litre Osprey rucksack. I’ve previously used my Berghaus Free-Flow 35+8 litres for long-distance walks but my kit list is going to be a bit bigger. I also wanted to ensure my tent would fit inside my bag and not on the outside, to help with the weight distribution. Now that the date is getting closer I’m taking my rucksack on most of my day hikes with me and filling it with random things to practice carrying the weight I will be hiking with. But after a good hiking buddy Ryan @vanilakodey suggested that my planned 15 kg weight was way too heavy I decided to write and share the gear I’m planning on packing. Here’s my full kit list for my long-distance walk. This is what I’m planning on taking on my 2-month adventure across the UK. I’d love to know what your thoughts are. 1.9 What I am Not Taking? 1.10 How Else I Am Going to Reduce my Pack Weight? 1.12 Want to Join the Hike? I’ve broken down my kit list into sections, so you can see what I’m planning to take for the camping, hiking and work elements on the walk. My current 2-man Vango Banshee tent (pictured above) is going to be too heavy for this trip, it’s 2.4 kg. 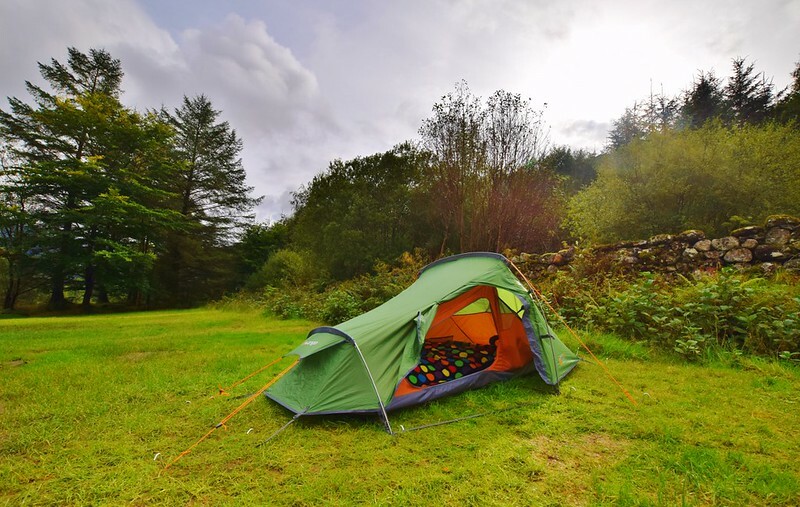 I’m currently researching the best one-man tent for the trip (recommendations welcome). 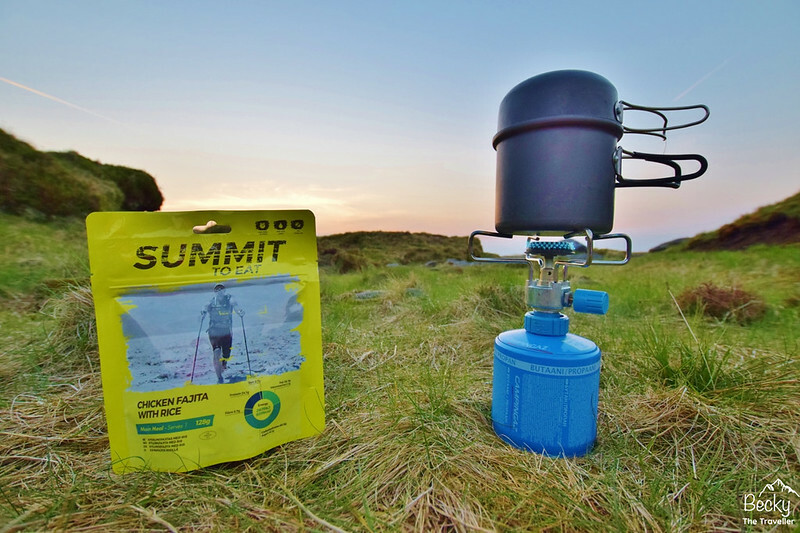 My cooking set up, with delicious Summit-to-Eat meals! This is my full clothes list for the hike, also factoring in that I will be wearing some of the clothes so they won’t all be in my rucksack! I’ve heard lots from people who’ve done long-distance hikes that sturdy hiking boots aren’t necessarily the way to go. I’m considering wearing trail shoes for the first section which is easier terrain via Norfolk Coast Path. Then swapping to my Salomon Mid GTX hiking boots which are lighter but offer more support. I’m still trialling different options. I normally leave many of these items at home on overnight camping trips, to keep the weight down. But for a 2-month hike, I’m afraid I can’t wash for that long haha. Plus no-one will want to walk with me if I smell. Why? I’m choosing this option to save carrying tampons, plus I’ve decided I don’t want the hassle of having my period whilst on the hike. Please don’t do this without talking to your doctor beforehand. The majority of the hike I will be buying food as I go along to save carrying the extra weight but I will be packing a few rations for if I end up wild camping so that I always have supplies. This is where my pack weight gets heavy, boo. But I will be working on the route (well when I’m not hiking) and taking photos that will eventually be shared via blog posts once I’ve returned from the trip. What I am Not Taking? Here’s the list of things that I’ve opted not to take on the hike. Some are items that I don’t class as essentials, others are items I’ve decided to sacrifice to reduce my pack weight. Any clothes that won’t dry FAST! How Else I Am Going to Reduce my Pack Weight? You might think that seems a lot of gear, I have written down everything I will be taking so I guess it looks a lot written down. Most of the items are pretty light but I have a few heavy items like my sleeping bag, tent and camera that will boost the weight! 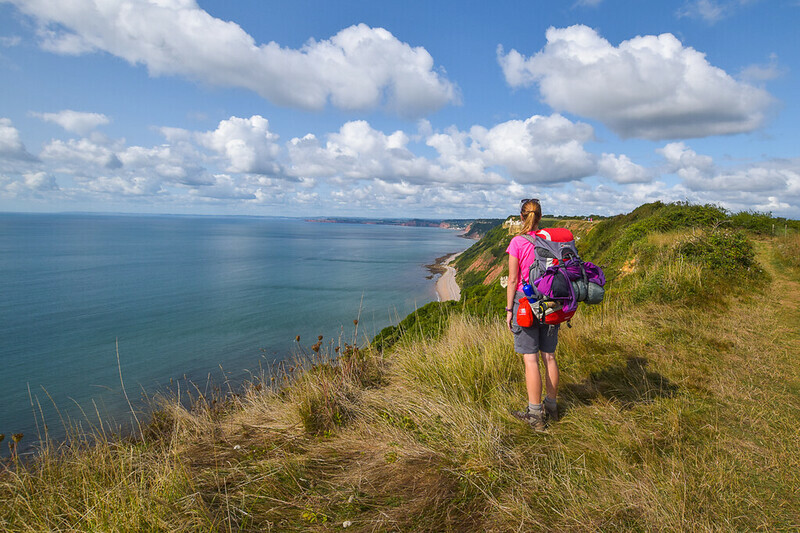 After chatting with Rachel from @rachelhappywalking123, she has shared a few top tips for how she saves weight when she is completing long-distance hikes. I’m practising hiking with a 15 kg rucksack at the moment as I feel that will be a similar amount to what I will be hiking with. But Rachel reckons I can get that closer to 10 kg! I might need to replace some of my heavier items, maybe purchase a lighter sleeping bag but what else can I do? Everyone likes getting post haha, but one suggestion I’ve had from Rachel is to post parcels to save carrying the full gear with me? If I decide to go ahead with this option then I will send the parcels maybe once a week, so it’s there for my rest day! So if I did that then what items could I pop in the post? Hmm, that’s all I reckon I could post, so I’m not sure whether it would be worth it or not? What are your thoughts? Have you done a long-distance hike before? Do you have any good tips? That’s the plan for what I’m going to take, as you’ll have noticed there are a couple of items I need to replace or buy new since I’m not happy with the weight of the gear. My moto is the lighter the better! I’m still going to continue training with 15 kg in my rucksack. I’d prefer to train with a heavier amount then if I can get my weight under that it will be a bonus! But in the next couple weeks I will be doing a proper weigh in of all my gear and see what the total weight is and work out whether I can replace any more items to make it lighter. Want to Join the Hike? If you’ve already read my last post about the walk then you’ll notice that I’m inviting as many people who want to join to meet up with us on the walk. Are you tempted? You don’t have to be a super experienced hiker, everyone is welcome to join, including dogs because I like dogs haha! Remember I will be hiking with 15 kg on my bag so that’s sure to slow me down! I will be sharing updates via my own social media at Becky the Traveller on Facebook, Twitter and Instagram, so check me out there for news. But you can also follow the new group I’ve created solely for the hike, called E2W Hiking Challenge 2019. Don’t think I saw it on your list but you may want to consider imodium. For obvious reasons and for the similar reason to taking your birth control with you. Imodium is a good prevention if you are going to be In areas with limited facilities. I don’t have anything near your level of experience, but in the past, I’ve found some duct tape REALLY great to have on hand for emergencies.